Raymond Charles "Ray" Campi (born April 20, 1934), is an American rock and roll musician sometimes called "The King of Rockabilly". He first recorded in the mid-1950s. Campi's trademark is his white double bass, which he often jumps on top of and "rides" while playing.He was born in New York City, and lived in Yonkers, New York during his earliest years. After his family moved to Austin, Texas in 1944, Campi began a lifetime of performing and recording music in numerous American genres, including folk, country, and rock and roll as well as rockabilly. Early on he recorded on Domino Records. 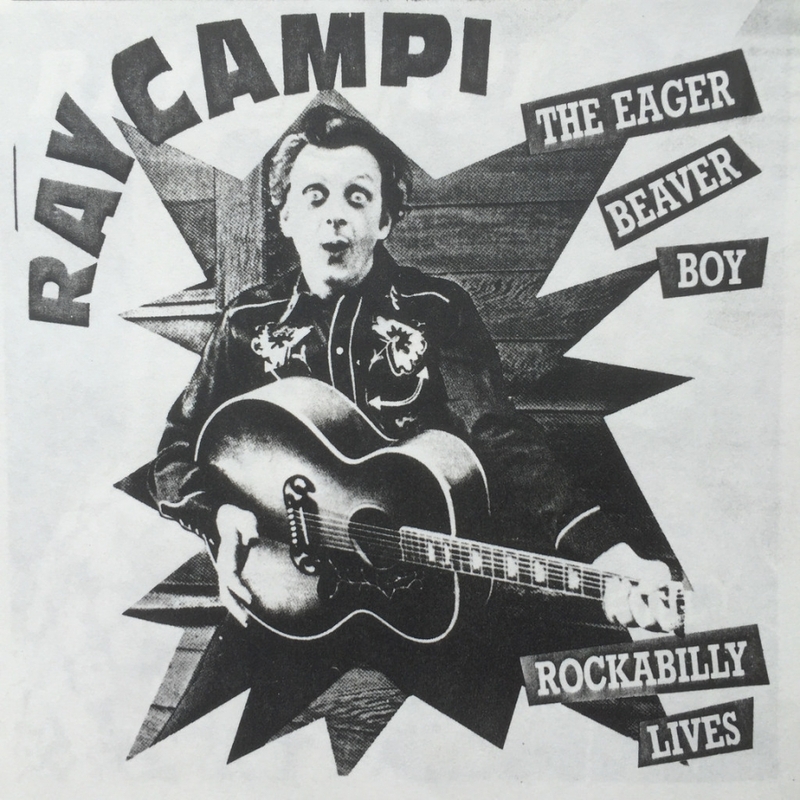 In the 1950s Ray Campi recorded for several labels, including Dot Records, and recorded the first tribute record to the 1959 Buddy Holly plane crash, 'The Ballad of Donna and Peggy Sue', backed by the Big Bopper's band. He also worked with a diverse range of singers, including Mae West (who recorded his song "Caterpillar") and Ian Whitcomb. He rarely concentrated on his musical career exclusively, working a wide variety of jobs, notably twenty-five years, from 1967, spent as a junior high school teacher in Van Nuys, California. He has fiercely criticized the mainstream music industry, in particular its connections with drug culture. His musical career took off in the early 1970s when he was rediscovered by Ronnie Weiser, the owner of Rollin' Rock Records. Campi began touring Great Britain and Europe and has regularly played festivals there ever since. He has also recorded with German, Finnish, British and Dutch rockabilly bands over the past two decades, and has produced his own albums with artists such as Rosie Flores, Bobby 'Fats' Mizell and Ian Whitcomb. Ray has performed on several solo albums by Kevin Fennell, his Lead Guitarist from 1977 to 2015. Campi continues to perform and record with his longtime musical associate Rip Masters.